Cape Town - The International Monetary Fund (IMF) and the World Bank are “Westernised” institutions, devised in a post-war colonial area with no regard for democracy and transparency, said African National Congress MP Pule Mabe in Parliament. Mabe, who is also a member of Parliament’s standing committee on finance, was one of the ANC speakers who debated South Africa’s relationship with the two international financial lenders. Agang MP Molapi Andries Plouhamma put the request for the debate forward. In his speech, he argued that South Africa has become “a slave” of the IMF and World Bank, as these institutions have the power to decide if a country succeeds or not. “The IMF and World Bank remote-control developing countries, such as South Africa. We should be in control of our own economic direction,” he concluded. Another ANC speaker, Bhekizizwe Radebe, also criticised the fact that South Africa is merely a “client state” and a “big market” to the IMF and World Bank. “They want developing countries to privatise their state-owned entities,” Radebe said, adding that a country like Bolivia had to “privatise its water supply services to its citizens”. Democratic Alliance MP David Maynier slated Agang’s Plouhamma for introducing such a debate while South Africa is facing a plethora of economic problems, such as low growth, high inflation and soaring unemployment. Maynier said the debate was not going to help the 8.9 million people in the country who do not have jobs, or have given up looking for jobs. “What we should be debating is the complete lack of leadership on the economy coming from President Jacob Zuma,” Maynier said. 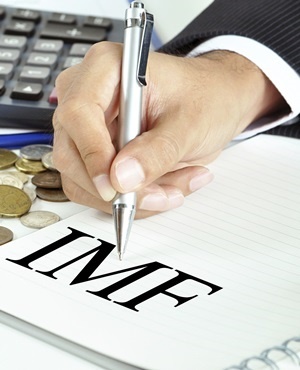 The Inkatha Freedom Party's Narend Singh said that “unfortunately” the IMF and World Bank are not always impartial. “Where does it leave developing countries? Luckily South Africa now has an alternative through the Brics bank,” Singh said, adding that the IMF and World Bank need to regain the trust of developing nations if they want to remain relevant. The DA’s Alf Lees said what Parliament should have been concerned with is not the IMF and the World Bank but the vast amounts South Africa agreed to contribute towards the establishment of the Brics Bank.